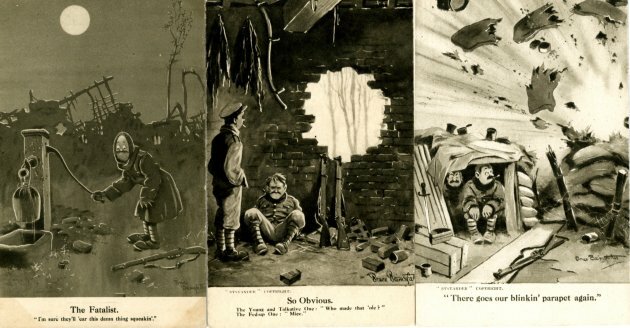 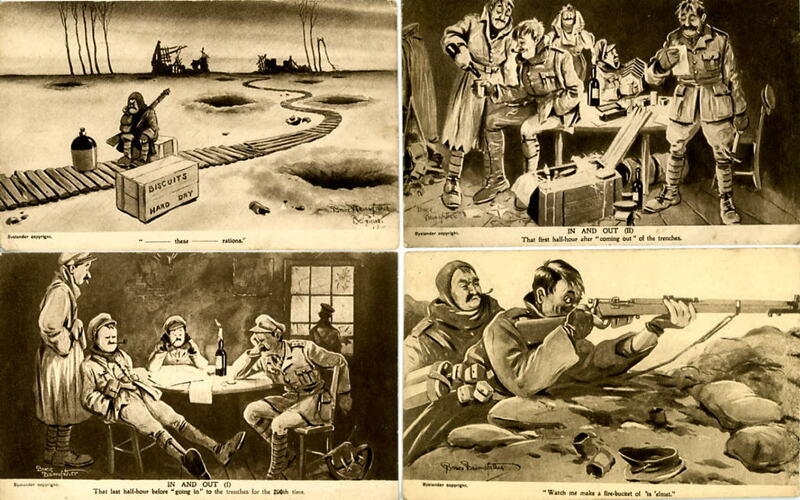 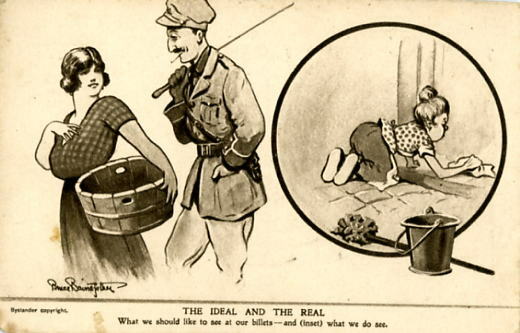 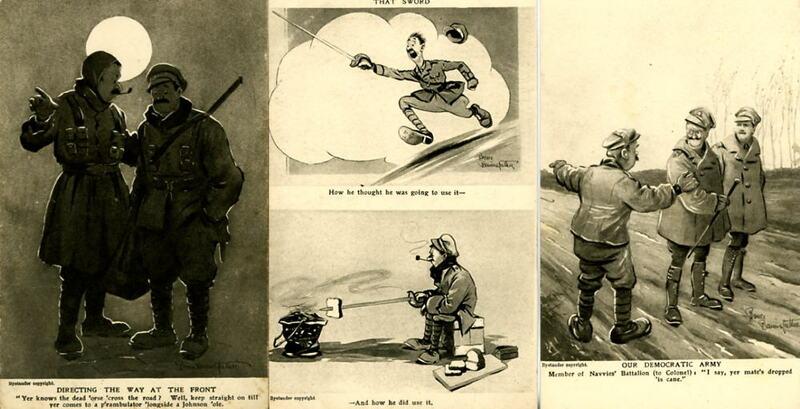 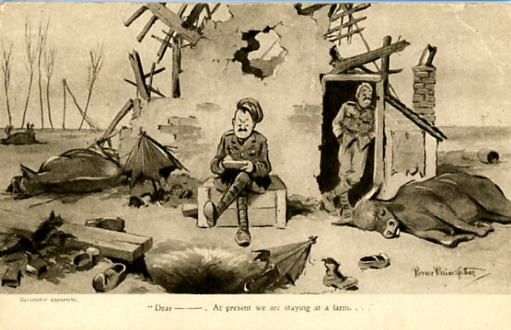 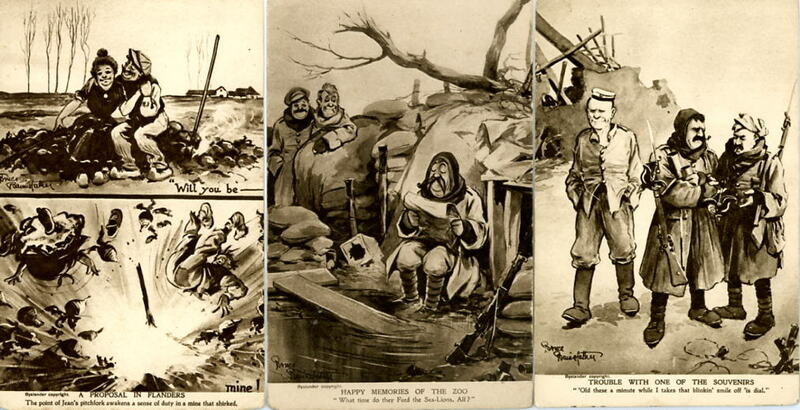 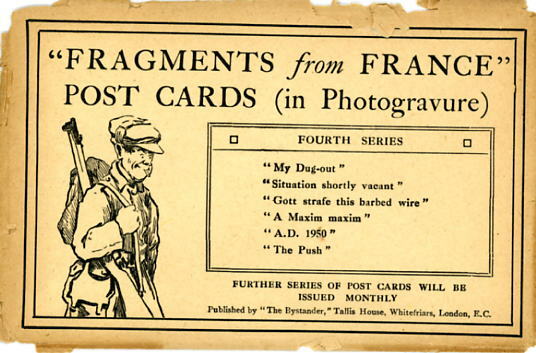 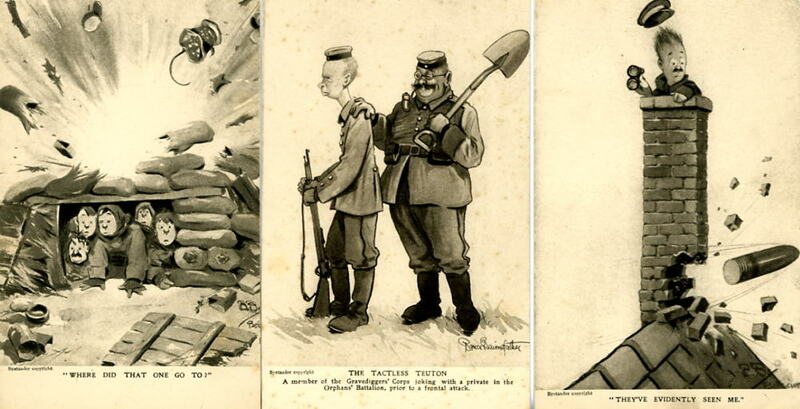 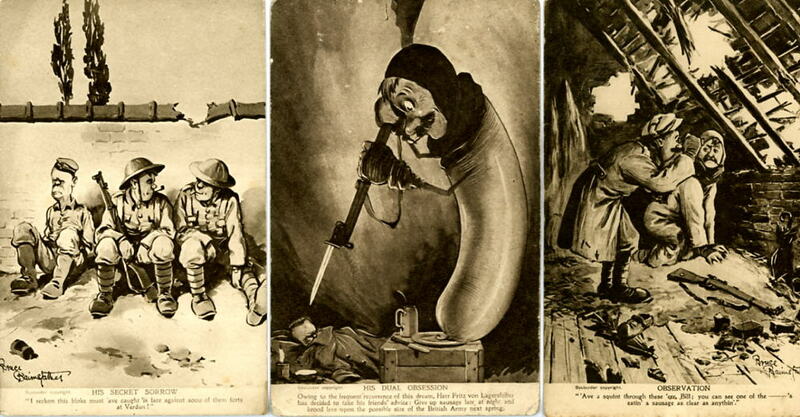 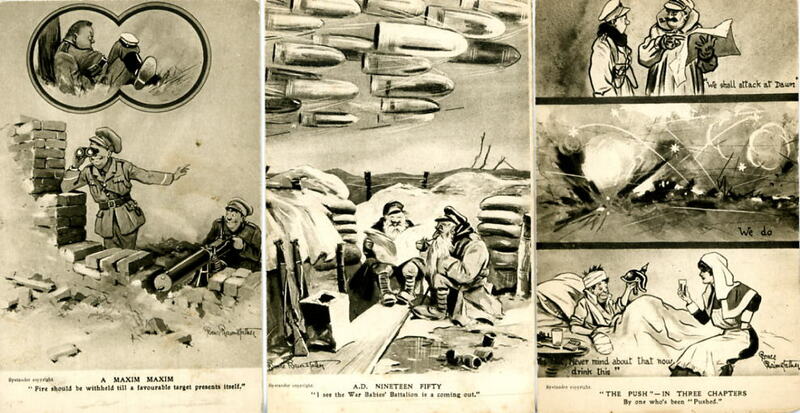 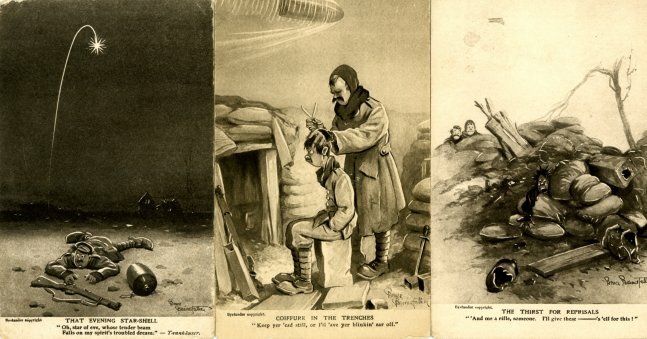 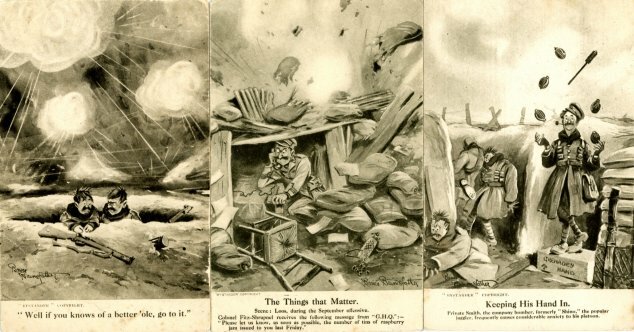 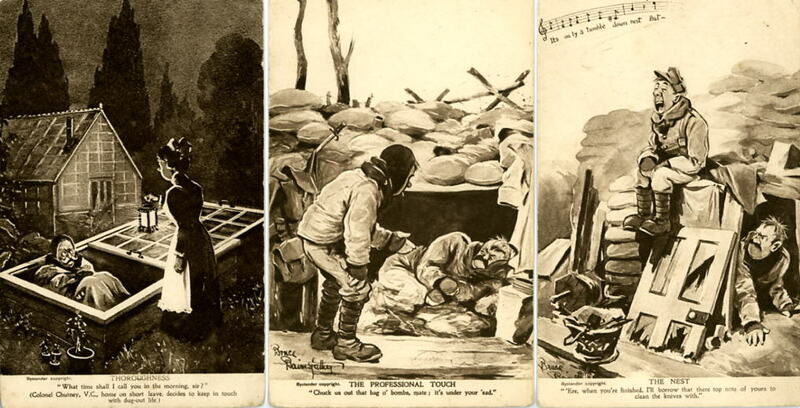 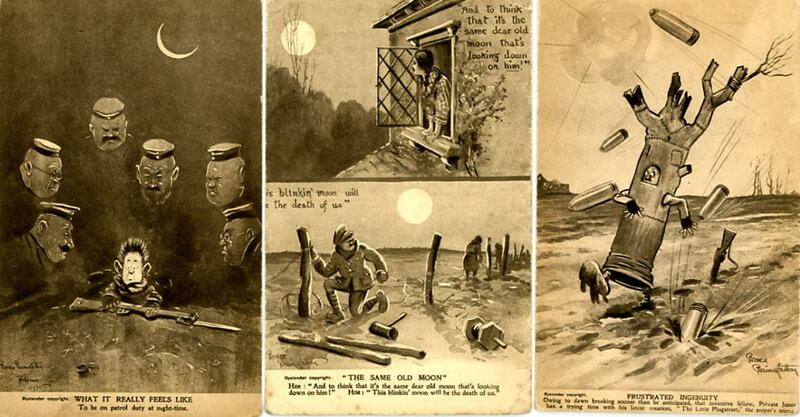 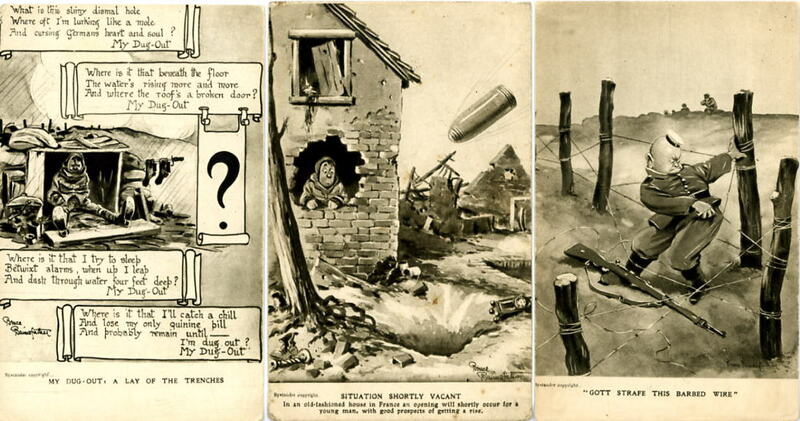 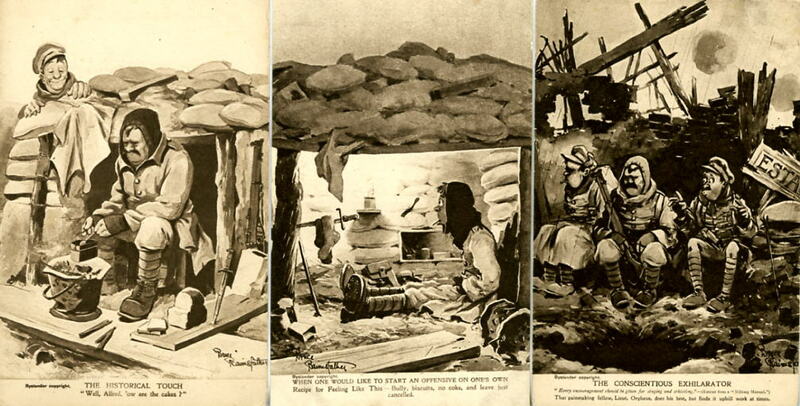 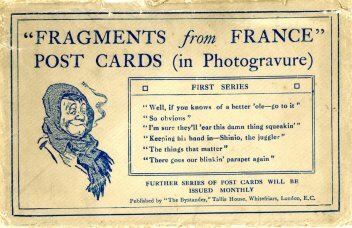 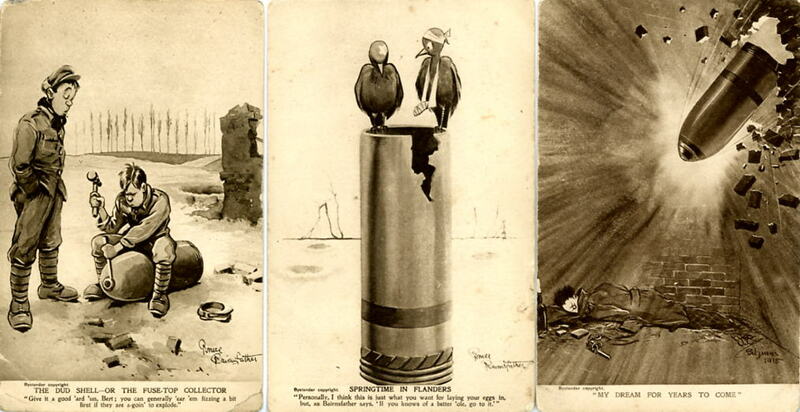 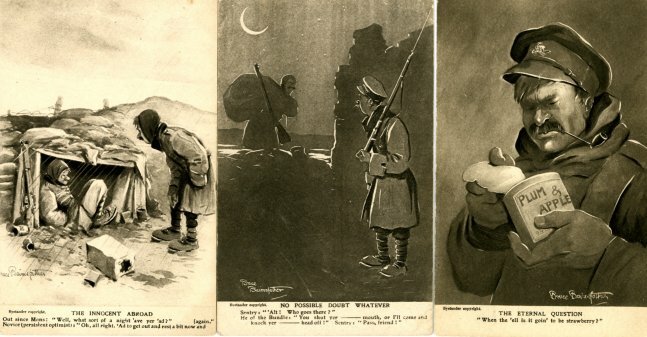 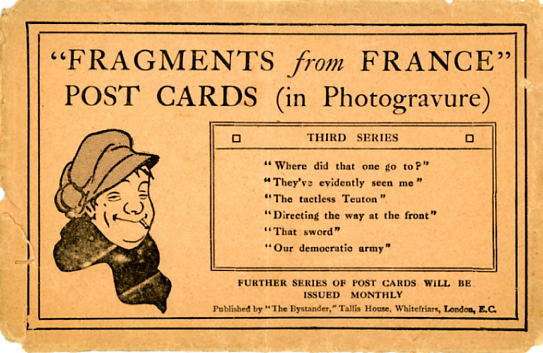 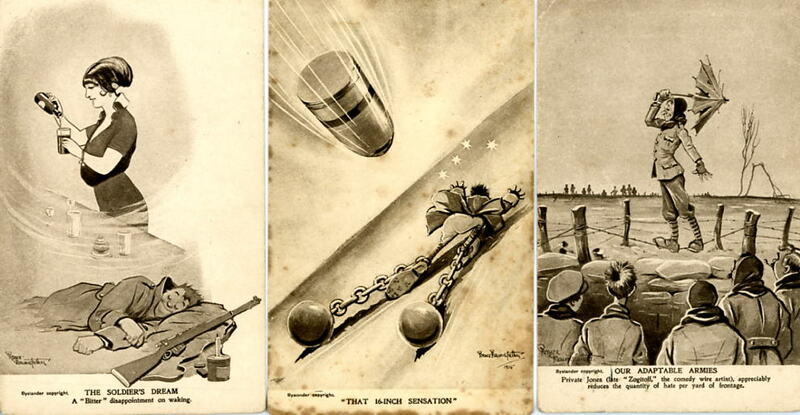 From May 1916 the publishers of The Bystander issued Bruce Bairnsfather's Fragments from France cartoons as postcards. 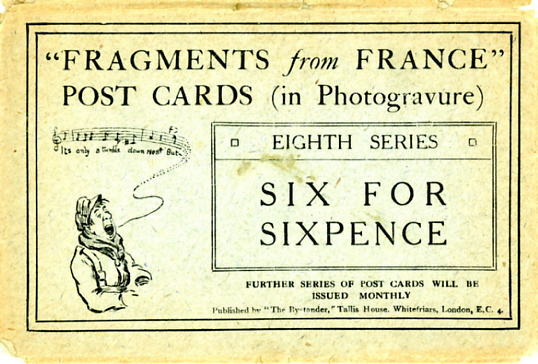 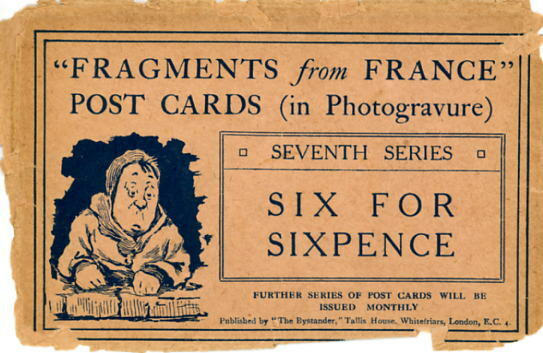 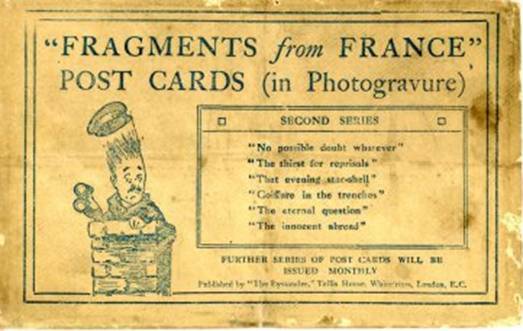 Nine sets of cards, each comprising of six sepia postcards in their own illustrated envelope were published in total. 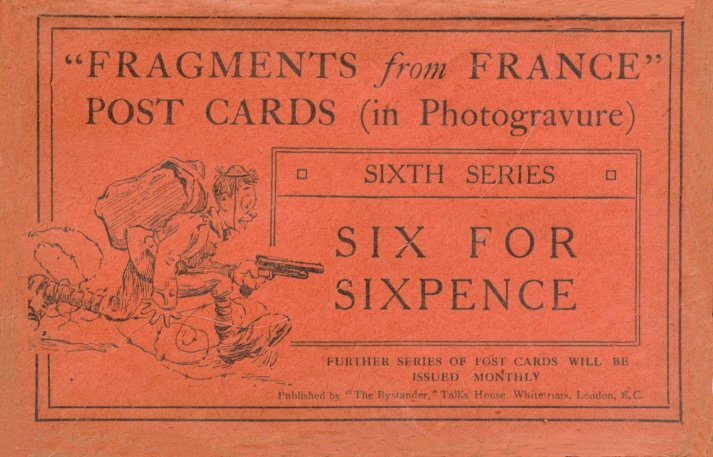 Issued monthly, the cards were priced at 8d per set. 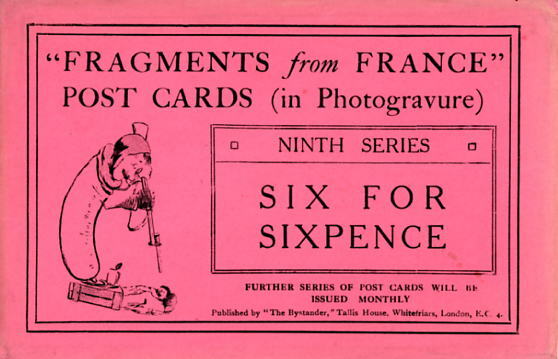 As with all the Fragments from France merchandise, huge numbers of the cards were printed, with the result that they can still be found relatively easily today, over 100 years later. 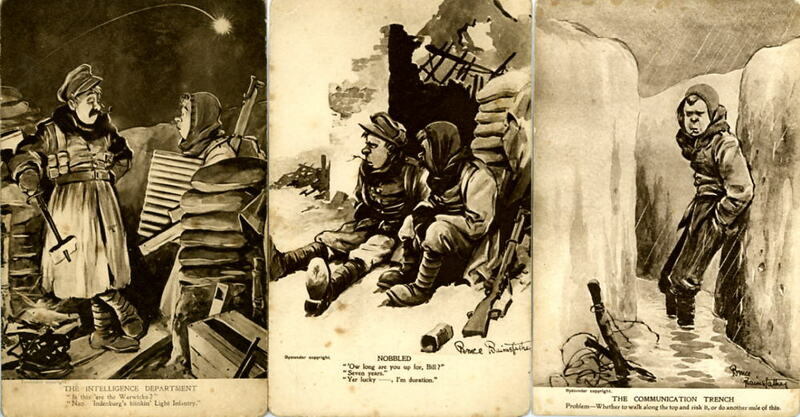 Below you can see images of all the cards and their envelopes. 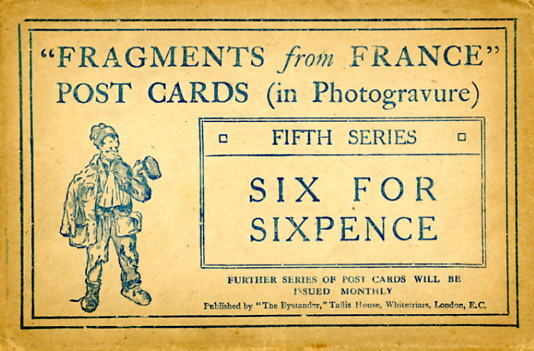 Click here to view a checklist of all 54 postcards.